Home » Blog » Round up your friends and come to a party! Round up your friends and come to a party! Forklift First Fridays are back at the warehouse, and better than ever! 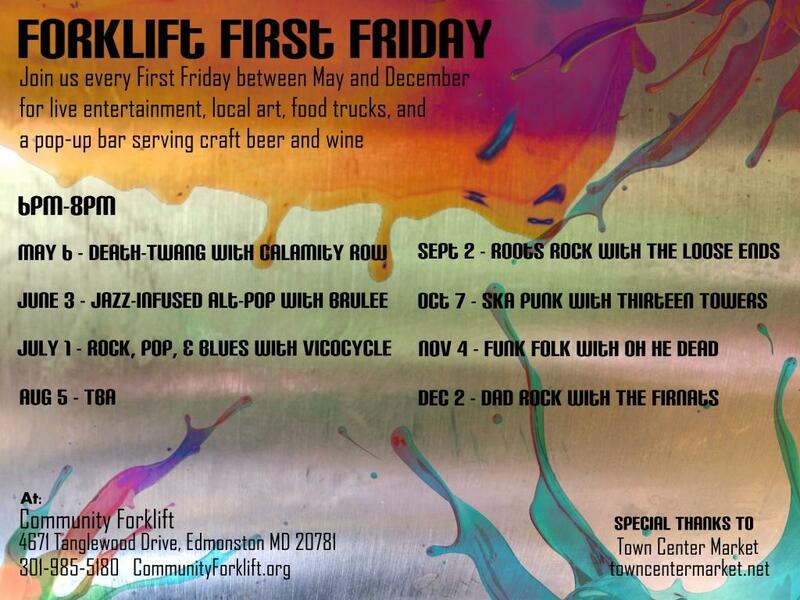 This year, due to popular demand, we will be running our Forklift First Friday event series from MAY all the way through DECEMBER. That’s 8 months of live music, local artists, food trucks, and of course Town Center Market’s signature Pop-Up Bar serving craft beers and wine. Bring your friends, family, and neighbors to celebrate our local culture and arts. This is a kid-, adult-, and dog-friendly event, everyone is invited! Cost: Free at attend and open to the public. Feel free to bring cash for food, drinks, and art purchases! 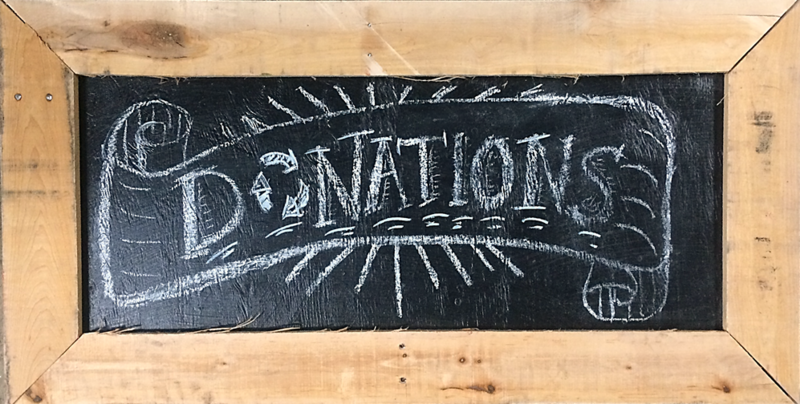 We’ll be posting updates for each event; with a listing of each month’s featured food truck and artists. Check back regularly or subscribe online to our Facebook Page, Blog, or Newsletter.